Snap released a statement apologizing for the ad, saying it "was reviewed and approved in error," and it was removed last weekend when they became aware. 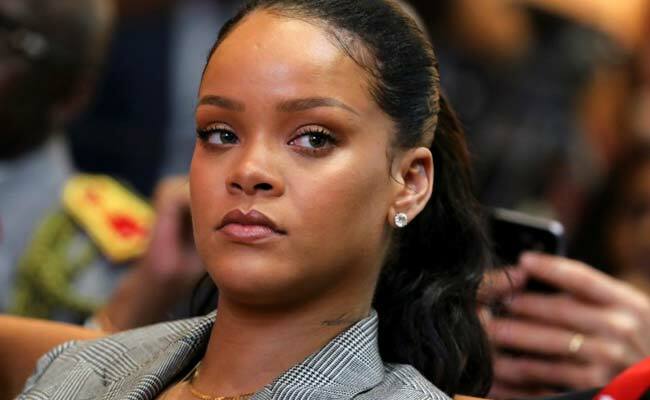 The pop star's image appeared in a now-pulled advertisement on the platform for a mobile game called "Would You Rather" that asked users whether they'd rather "Slap Rihanna" or "Punch Chris Brown." In 2009, Brown pleaded guilty to a felony charge of domestic violence for assaulting his then-girlfriend, Rihanna. "Now SNAPCHAT I know you already know you ain't my fav app out there! But I'm just trying to figure out what the point was with this mess!" she wrote in a statement posted on her Instagram story. "I'd love to call ignorance, but I know you ain't that dumb!" She accused the platform of spending "money to animate something that would bring intentional shame to (domestic violence) victims and made a joke of it." She continued: "This isn't about my personal feelings, cause I don't have much of them ... but all the women, children and men that have been victims of (domestic violence) in the past and especially the ones who haven't made it out yet ... you let us down! Shame on you. Throw the whole app-oligy away." The advertiser, which isn't affiliated with Snap, has since been blocked from the platform. "This advertisement is disgusting and never should have appeared on our service," a Snap Inc. spokesman said Thursday. (Snap owns Snapchat.) "We are so sorry we made the terrible mistake of allowing it through our review process. We are investigating how that happened so that we can make sure it never happens again." Snapchat ads are subject to review and approval,and its policies include prohibiting "shocking, sensational or disrespectful content." On Monday, Snap released a statement apologizing for the ad, saying it "was reviewed and approved in error," and it was removed last weekend when they became aware. Although the ad had been removed, images circulated on social media, getting Rihanna's attention and sparking criticism, including from Chelsea Clinton. The high-profile assault took place hours before the 2009 Grammy Awards. Brown was arrested after being accused of domestic violence and battery against his then-girlfriend, and they both canceled their Grammy performances. Photos later released, apparently of Rihanna, showed a badly beaten and bruised face. Sushmita Sen Or Boyfriend Rohman Shawl, Who Captioned This Mushy Pic Better?